Somewhere back in hook history, a clever hook designer decided that three barbed prongs were three times better than one. He was certainly right. The three legs of a treble hook are forged together to form the eye. Multiple hook points provide superior hooking and holding power and are most often used on lures such as crankbaits or bucktail jigs used for muskie or pike. Crankbaits for bass or walleye usually employ treble hooks sized 1 to 2/0, but sizes vary with the size of the lure. 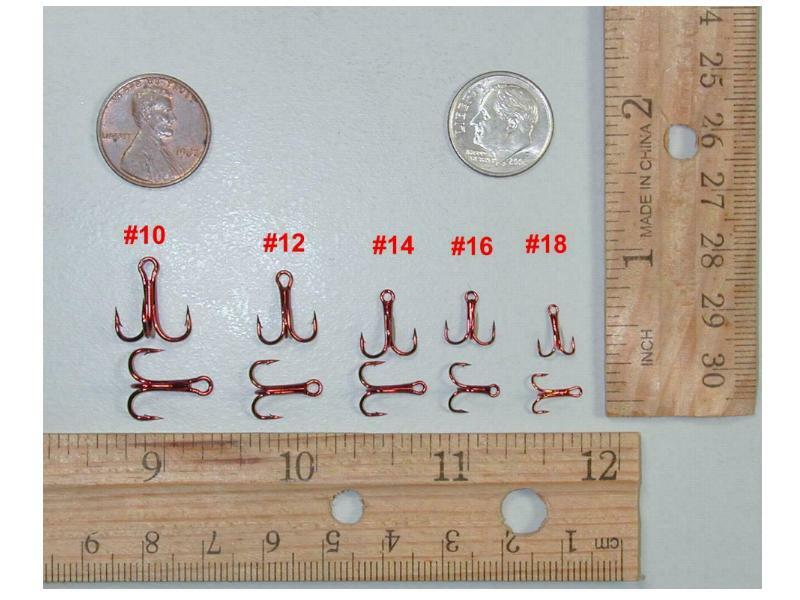 Anglers targeting catfish often use treble hooks for their improved bait- and fish-holding ability. These hooks are a great lure replacement hook for all your favorite bass plugs etc.